New research from frontline youth service ReachOut found 16 percent of young people, used drugs and alcohol to help them cope with bullying, with ReachOut renewing calls for bullying to be acknowledged as a major public health issue and for more to be done to support young people experiencing distress. The findings are based on a nationally representative survey of 1000 Australian young people aged between 14 and 25, conducted in December 2018. 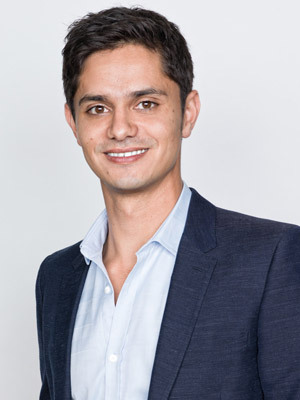 ReachOut CEO Ashley de Silva said the research confirmed that rates of bullying remained steady with around 1 in 4 (24 percent) saying they were bullied, and 36 percent of young people saying they were bullied online. The research also asked young people about the strategies they used to cope with bullying. 16 percent said they used alcohol and drugs, 17 percent said they used medication, while 10 percent did not use any of the strategies listed. Positively, 48 percent said they spent time with family and friends and 36 percent did something they enjoyed. "It's really concerning that 16 percent of young people who experienced bullying self-medicated – using drugs and alcohol to help them cope – as we know this can be a fast-track to other problems like binge drinking, risky behaviour, overdose and even death," Mr de Silva said. "What this research also shows is that 17 percent of young people who experienced bullying were under the care of a GP or mental health professional and prescribed medication to help them cope with the emotional impact of bullying, and that's just devastating." "The research also found bullying had a significant negative impact with 65 percent, or up to 575,000 young people, saying it had a moderate to major impact on their emotional and mental wellbeing," Mr de Silva said. "It is clear that the nature of bullying has changed forever. For most young people being bullied in the classroom continues when they get home and jump onto social media or even their favourite video game. "We've welcomed efforts by governments to tackle cyberbullying, however this is not just about online safety but supporting people in distress right now. "We hear heartbroken parents and friends talk about the emotional toll of bullying, and we need to make sure young people know that support is available and where to go to get that support," he said. ReachOut has a wide range of articles, videos, self-help tips and online forums to help young people cope with bullying and cyberbullying. ReachOut Parents provides evidence-based self-help tools, and parenting peer support around the clock. ReachOut has already geared up its free, confidential one-on-one parent coaching service to help parents and families get support anywhere in the country, including with bullying. Young people experiencing bullying can head to ReachOut.com to access a wide range of support resources and forums for peer support. For more information visit ReachOut.com or ReachOut.com/Parents. Question: What did the new ReachOut research find? Ashley de Silva: ReachOut undertook a nationally representative survey of 1000 Australian young people aged between 14 and 25 we asked them a number of questions about bullying. One of the most striking findings was that 16 percent of those who were bullied used drugs or alcohol to help them cope. Question: Are you surprised by these results? Ashley de Silva: Sadly we weren't surprised and this is the reason why we continue to make calls for bullying, both online and offline, to be treated is a public health issue. It's really concerning that 16 percent of young people who experienced bullying self-medicated – using drugs and alcohol to help them cope – as we know this can be a fast-track to other problems like binge drinking, risky behaviour, overdose and even death. Question: How can parents identify if their child is turning to drugs or alcohol to cope with bullying? Ashley de Silva: It can be really difficult if your teenager is turning to drugs or alcohol to help them cope when it comes to bullying. We encourage parents to have open conversations with their teenager about drug and alcohol usage, keeping safe and also positive strategies to rely on when they're going through tough times. It can be hard to talk, so even things like text messages and emails can be helpful. Parents can look out for changes in behaviour such as not wanting to socialise as much, or going out with friends all the time. Question: How can a parent help a child who is being bullied? Ashley de Silva: We hear heartbroken parents talk about the emotional toll of bullying, and we need to make sure young people know that support is available and where to go to get that support. If your teenager is being bullied it's important to work with them on a plan of how best to resolve the situation. That can vary and sometimes it will involve getting help from places like their school. ReachOut's Parents service has a number of resources for parents when it comes to bullying including articles, forums where they can chat with other parents, and a coaching service. Question: Are the bullying rates increasing? Ashley de Silva: In the survey we found that the rate of bullying remains steady with 1 in 4 or 24 per cent saying they were bullied. What's changed is how pervasive bullying is. For most young people today being bullied in the classroom continues when they get home and jump onto social media or even their favourite video game. ReachOut provides free resources for young people when it comes to bullying including articles, tips, videos and forums where young people can chat to others who have been through similar experiences. Question: How will acknowledging bullying as a major public health issue help rectify the problem? Ashley de Silva: To date government responses have focused on cyberbullying and online safety. However what our research is showing is that this is more than an online safety issue and is causing significant distress to young people. A public health approach would focus on measures to reduce and prevent bullying as well as provide support for young people who are in distress right now. Question: What can Australians do to reduce the rates of bullying? 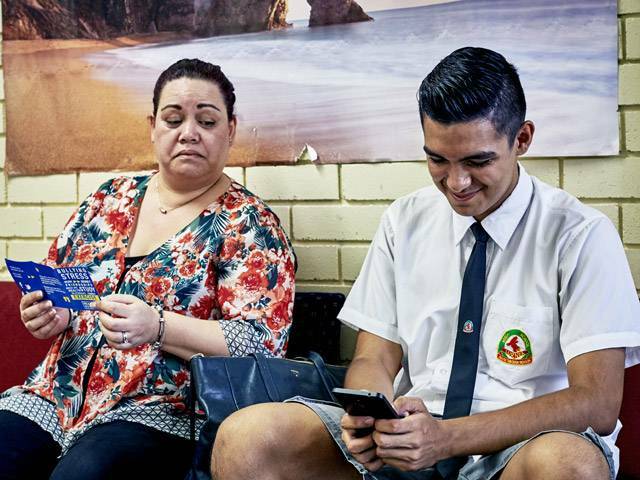 Ashley de Silva: Everyone has a part to play when it comes to reducing rates of bullying including governments, schools, technology companies, parents and individuals. It's important not to underestimate the importance of simple actions, for example for parents modelling respectful online behaviour for their kids is really important. And while we acknowledge it's not always easy, it's important to call out bullying behaviour when you see it as we know that bullying usually stops within minutes of a friend or bystander stepping up and getting involved.